Clare sits in Northwest Michigan, towards the center of the Lower Peninsula. It is by several state forests and has outstanding outdoor recreation. Indeed, Clare states that it is “Where the North Begins”, referring to the great fishing, hiking, and skiing that is found here. The area around Clare is also home to some of the best golf in the state. Golf at Firefly, which is fun and challenging no matter the level of play. Golf Eagle Glen in nearby Farwell, which was designed in the tradition of Scotland’s finest courses. There are many courses a short drive from your local bed and breakfast. Ask the innkeepers which they prefer. Cross-country skiing is just about everywhere here once the snow arrives. 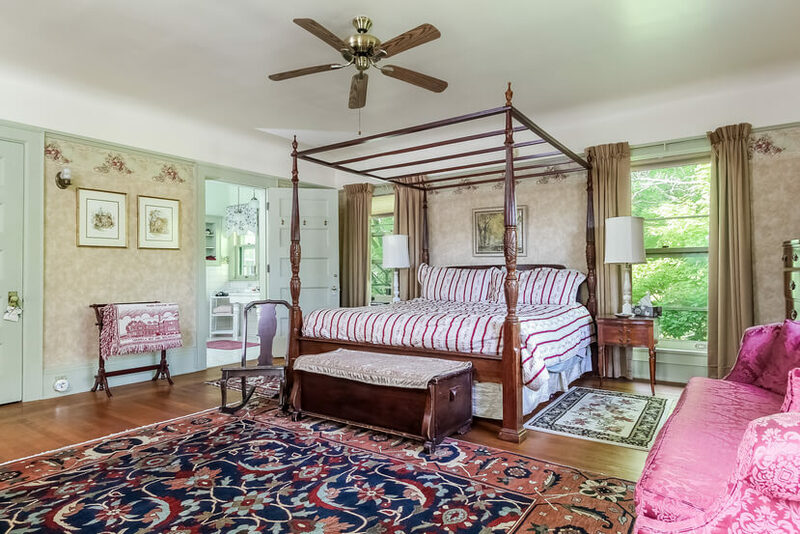 Ask the innkeepers of bed and breakfasts about the best spots for skate skiing, backcountry skiing, and classic track skiing. City Forest in Midland is a great spot for sledding. The Pere Marquette Rail-Trail stretches 30 miles between Midland and Clare. It is superbly maintained and is a great spot for just about any form of transportation barring motor vehicles. Bike, ski, or walk here to the heart’s content. Amish Crafts and Quilt Auctions take place in Clare twice a year, in the spring and fall. In March the Irish take over the town of Clare. The Irish Festival is always a good time to stay at a bed and breakfast. Expect Irish music, Irish dancing, Irish food and drinks and just about anything else Irish. Before leaving town, take in a movie in the historic Ideal Theater and enjoy a doughnut at “Cops and Doughnuts”, a bakery owned and operated by the Clare Police Department. Now that’s a good reason to come to one of our bed and breakfasts! On Historic Register, all modern conveniences. Seven guest rooms, private baths. Full breakfast. Ballroom can accommodate groups. Ping pong, pool. Parlor, library, full guest kitchen. In the heart of Lower Michigan, go back in time -- with all the comforts of a luxury inn. Nine guest rooms in two restored vintage houses. Walk to downtown. Popular for events and weddings.